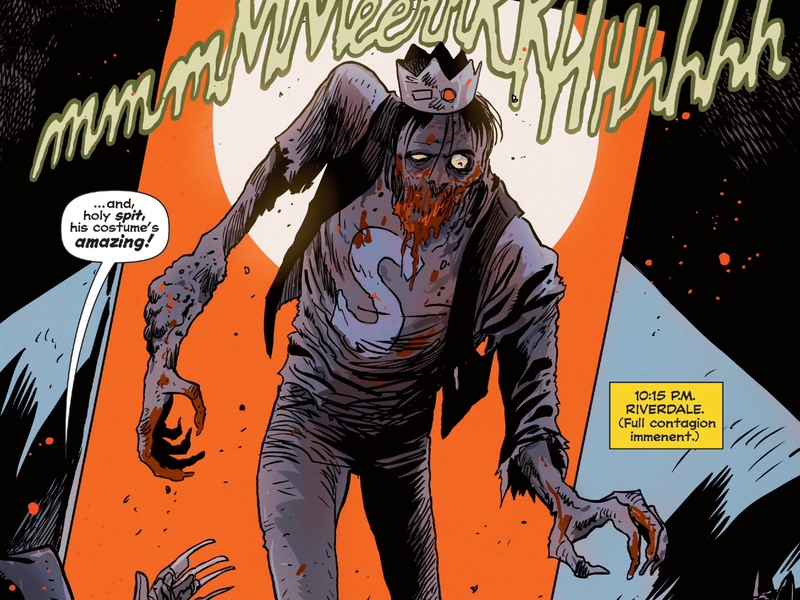 Jughead is hungry…for human flesh?! Yes! 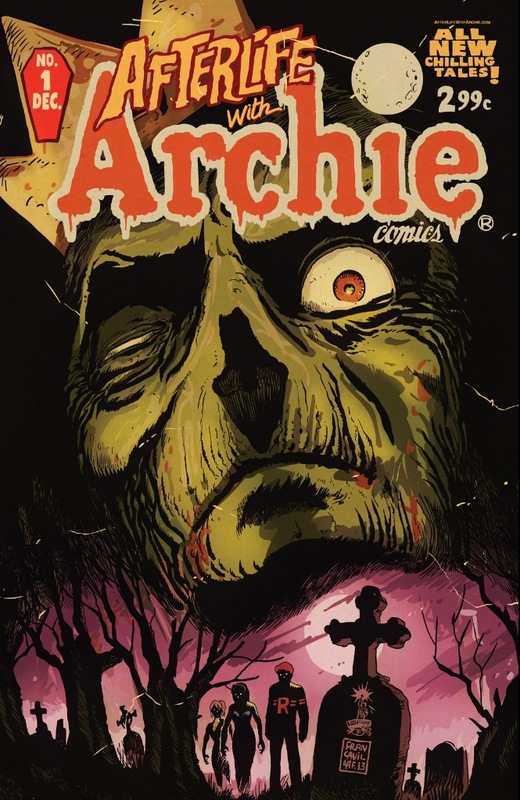 Afterlife with Archie takes place in an alternate, less cartoonish continuity of the popular Archie comics. Who thought, Archie Comics could be a source for modern horror, suspense, and drama? Yet here we. The result is terrifying, brilliant, and fun. As a fan of horror and comics, I was hooked from the opening page. Not so much for the tired gimmick of zombies; but the attention to what makes the best of this sub-genre wonderful: the stage environment and the players present. We have suspense and supernatural horror mixed with casual social commentary. When done well, any overplayed genre can be made fresh and enjoyable. And, I love the biting and screaming; which does well for suspense and horror elements, and for fun campy, and darkly campy comedic moments. The overall tone is more than simply “Archie with zombies,” or a Walking Dead clone. 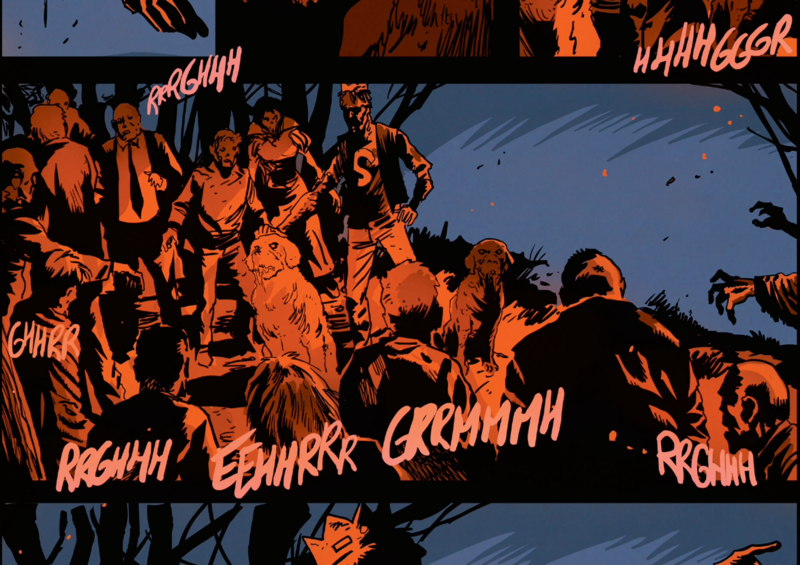 The unique art style of Afterlife with Archie is the key. Instead of the familiar comical style we all know, we get a dramatic and dark atmosphere. The night environments, use of shadows, and angles all work together to produce a foreboding tone. Classic, spooky lettering sound effects are used well, with strategic placement to enhance the horror. 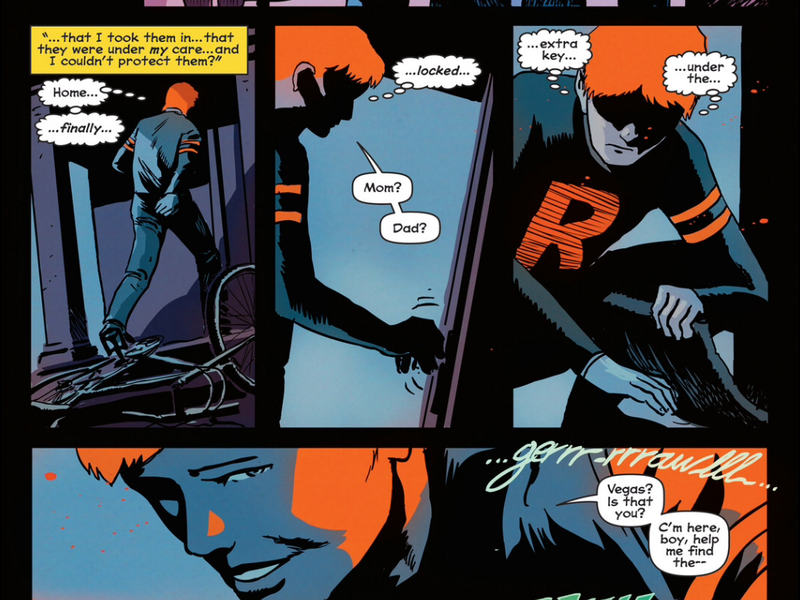 The coloring is also superb – especially the use of red (Archie’s hair and the Riverdale “R” on his sweater) – as is the storytelling’s ominous change of background, and the biting and screaming. Much of these fantastically detailed visuals (with occasional surprise gore) go back to the classic horror comics like the EC Comics of old (Tales from the Crypt, The Vault of Horror, The Haunt of Fear) and the classic Warren Magazines (Creepy, Eerie, Vampirella). The full story is grand and terrifying. For this Riverdale, the outbreak is real and out of control. The only way to have a sense of order is through survival. The horrifying circumstances here are based on the supernatural, where the usual hope in prevailing science for survival is further diminished. What makes Afterlife with Archie darker is how we lose familiar characters, or those we are just beginning to know, into the darkness. The terror seeks to consume, to overwhelm. We are left wondering who will survive, and keep the light, in the end. However, not all is gloom and doom. We get some of that classic camp from the regular Archie comics. Some familiar tropes to modern horror present, such as lesser characters making light of the situation, or in an excessive state of panic. Many relationship angles happen, including the dilemma of Archie’s ongoing “intimate relationship” choice between Betty and Veronica. Others disconnect in some tragic, yet comically melodramatic ways (poor Ethel Muggs). Jughead comes full circle with his insatiable hunger, but no longer for just hamburgers. Such fun development keeps the comic enjoyable, without being too morbid. We also enjoy a return to classic heroism with our main character, Archie Andrews. He is brave, and a rule-breaker: a great lead character to root for, who is not concerned with impressing anyone or getting the girl. In contrast, it seems the rest of the survivors do, or at least fail to take control of their situation preferring to enjoy the comforts of safety while they can. Archie also deals with some serious, heartbreaking choices in issue four, adding maturity and development to a perpetually young character. I also feel the awesomeness of Archie’s shirt now: I feel the “R” is now a clear symbol of his boldness, and hope for Riverdale. His humble appeal and heroism make him the perfect, deserving protagonist in a plague-ridden apocalypse. The overall pacing and plot keeps us readers in check, looking forward to each new chapter. 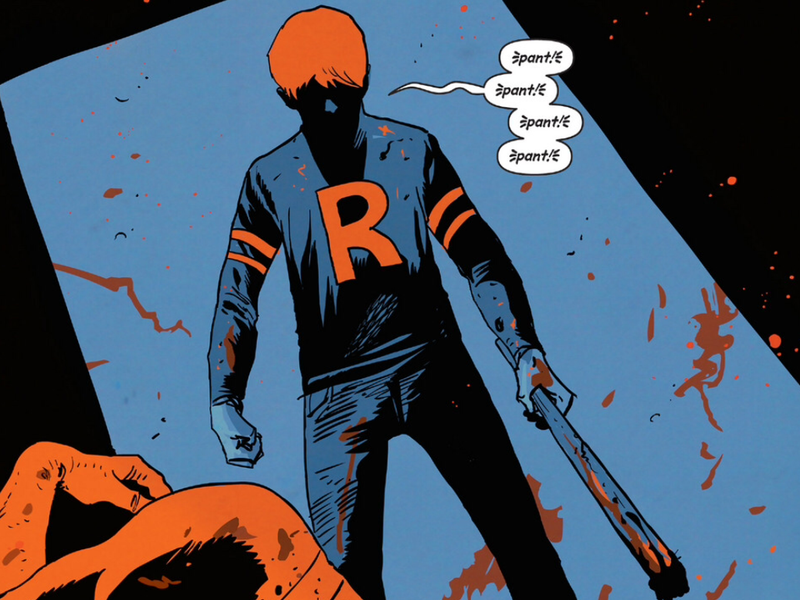 Afterlife of Archie is an instant classic. Buy this, as it is worth every penny. Also there are bonuses, with reprinted “From the Vault: Chilling Adventures in Sorcery” black-and-white classic stories, interviews, extra artwork, and more. Then find a nice cozy spot in the dark with a small reading light. If on a digital device turn out all the surrounding lights. Keep your windows locked and your blankets near, then enjoy the read.